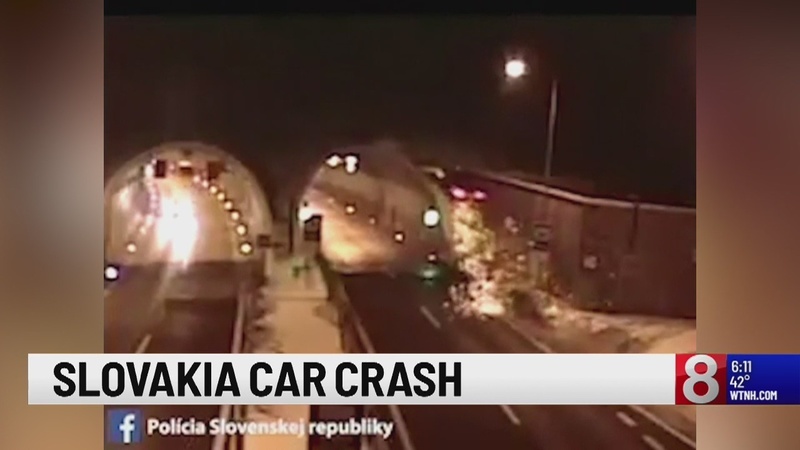 WTNH – A man in Slovakia – lucky to be alive after a horrific crash caught on camera. The BMW is driving when it slams into a concrete barrier – goes airborne – and then slams into the entrance of a tunnel. The 44 year old behind the wheel – only suffered minor injuries. Police believe he falls asleep at the wheel.